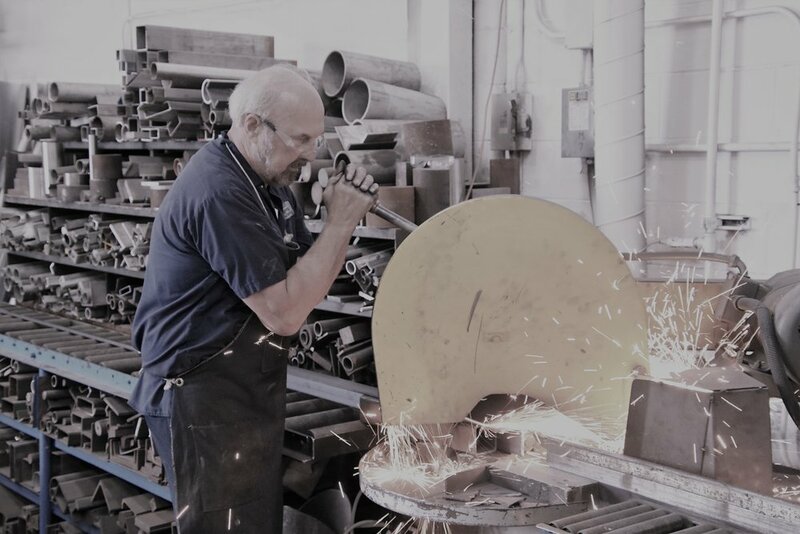 Since 1972, we have been servicing companies all over the world with professional design engineering, manufacturing, and field installing work. We’re very proud to offer full service including field dimensioning, mechanical engineering, AutoCAD drafting, fabrication, machining, mechanical assembly, electrical design and wiring, and installation. We have the ability to do complete product design and development including process design, plant layout, material handling, system integration, general contracting, and turnkey systems and we work with ALL alloys! All-position MIG,TIG, stick, flux-core, and hard-surfacing welding done in-house. Some of the products which we provide for food industry companies are: stainless steel augers, conveyors, mixers, blenders, cookers, CIP systems, tanks, material handling and packaging and lifting devices. All of our equipment passes WDA and USDA standards. We have engineered and fabricated many new sanitary conveyor systems this past year. Please ask about these new designs. We use specially-dedicated equipment that we use on stainless steel products only, as well as being a full distributor for sanitary fittings. Because we are a full service company we can offer full quality control for the design manufacturing and installation. Our journey began in the heavy weldments of mining and printing companies. Our experience covers welding machines, 60’ long lathe bed assemblies, heat treat furnaces capable of 2900° F, sub-zero freezers operating at -90° F, web handling equipment, rotary kilns directly and indirectly fired, coolant separators, material handling and lifting devices. We also provide 1/4” plate ductwork, expansion joints, fume collecting systems, heat exchanger, thermal incinerators, and automated storage and retrieval systems for the post office. We have fabricated weldments from 1# through 60,000#.